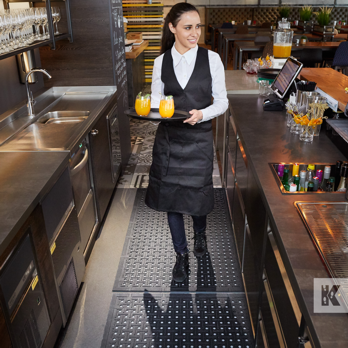 Long periods of standing at work can lead to back problems as well as problems with the legs and feet. 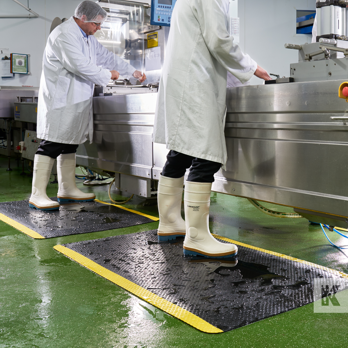 Tension, stiffness, inflammation and varicose veins may also result. 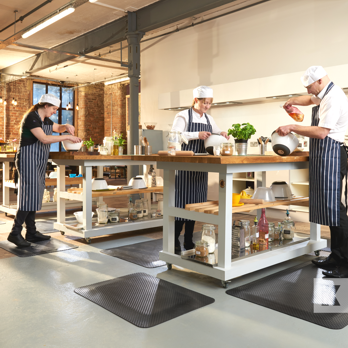 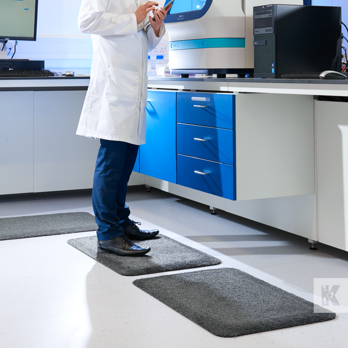 The simplest solution is to equip workstations with special anti-fatigue mats. 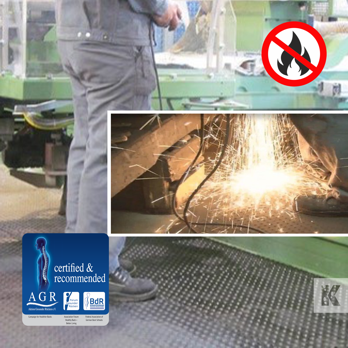 The selection of products below have been uniquely developed to promote employee well-being, reduces stress and fatigue and improve productivity. 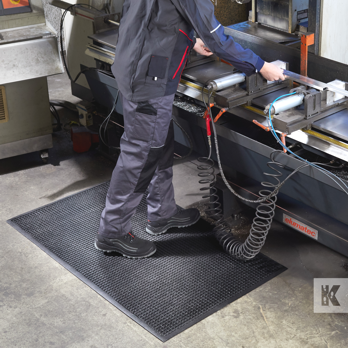 The anti-fatigue rubber mat with highly visible safety border graphics. 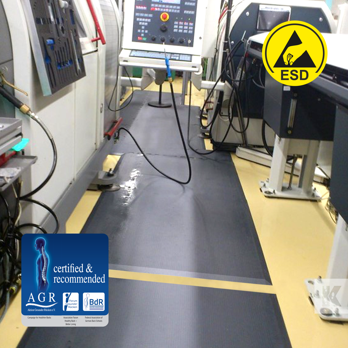 Reduce the risk of electrical shorts with this ergonomic ESD mat. 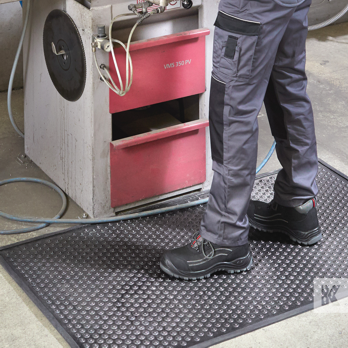 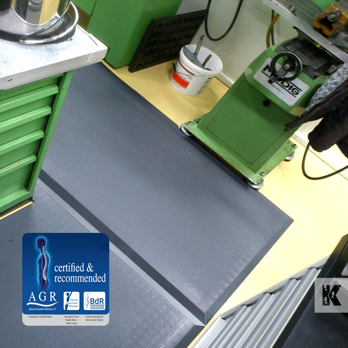 Fire resistant ergonomic mats for industrial workstations.